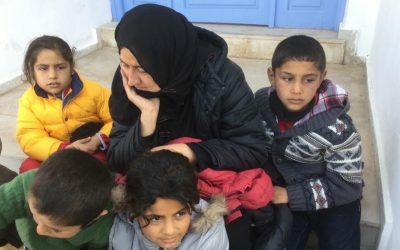 Although the crisis of refugees coming from war zones in Iraq, Afghanistan and especially Syria has been tragic for years, it has now reached unprecedented proportions. 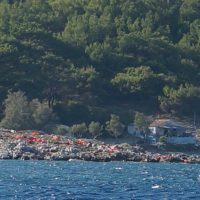 Last summer we saw hundreds of people crossing between the Turkish coast and the island of Lesvos in extremely dangerous conditions. 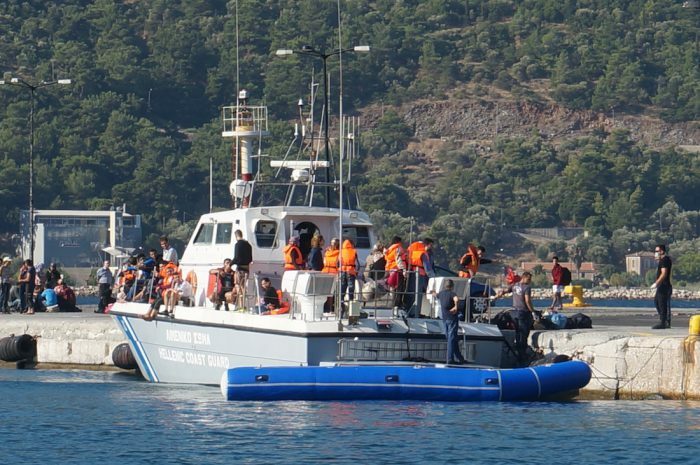 Along the coasts of the Aegean Sea in August, we witnessed dramatic scenes, repeated on a daily basis. The situation in many islands soon became unbearable for extremely poor, exhausted and often sick exiles. 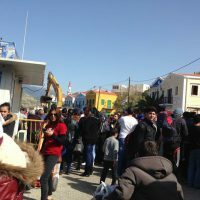 For the local people difficulties have significantly worsened. 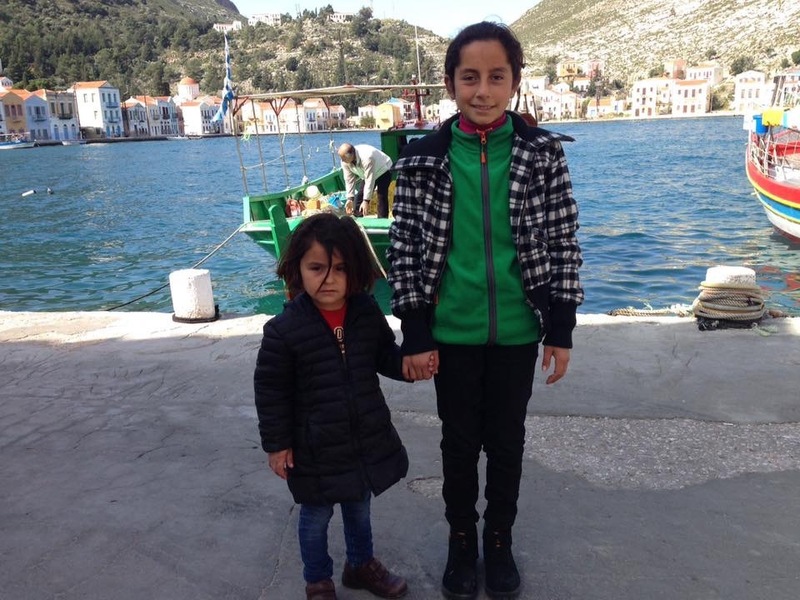 In recent weeks a massive influx of refugees from Syria on the small Greek island of Kastelorizo has become absolutely catastrophic. 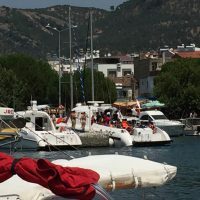 Indeed, this island, located on the eastern edge of the Mediterranean, is very isolated from administrative centres and with tourism (their main source of income) drying up, the economic situation of its very small population has quickly become precarious. I saw the Turkish Coast Guard bring in around 20 people this morning at around 7am, but it seems they are not able to stop the flow of refugees to the island. Ten past eight and I just spoke to Kate. People were arriving late into the night, wet and in need of dry clothing. 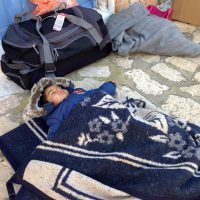 As that brought the numbers up to 400+ some people had to sleep in the open as the halls and the medical centre are full. She has been told that another 300 have arrived this morning! 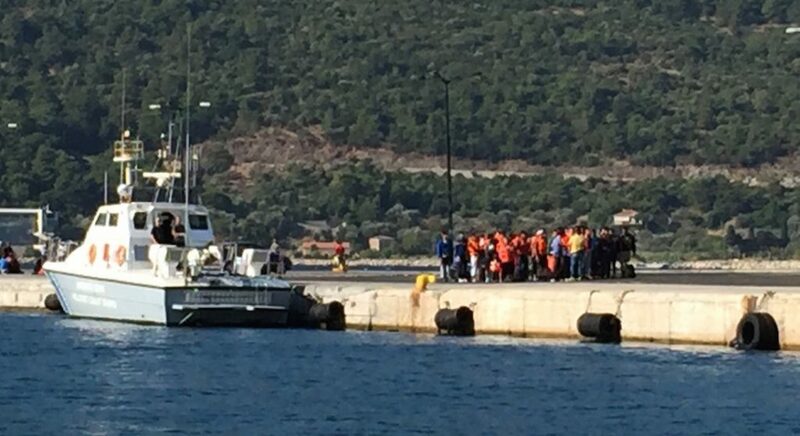 This means there are around 700+ refugees on the island now and it is only Thursday…. 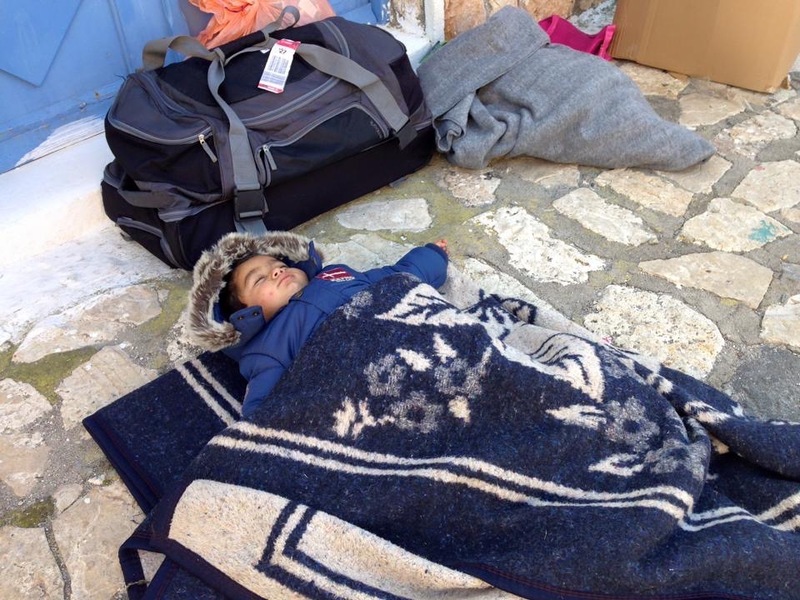 more than 300 will have to spend the night in the open. It’s lucky the weather is a little bit milder than it has been…. but that could change. The Greek Coast Guard and police are overwhelmed and everyone is struggling to cope. 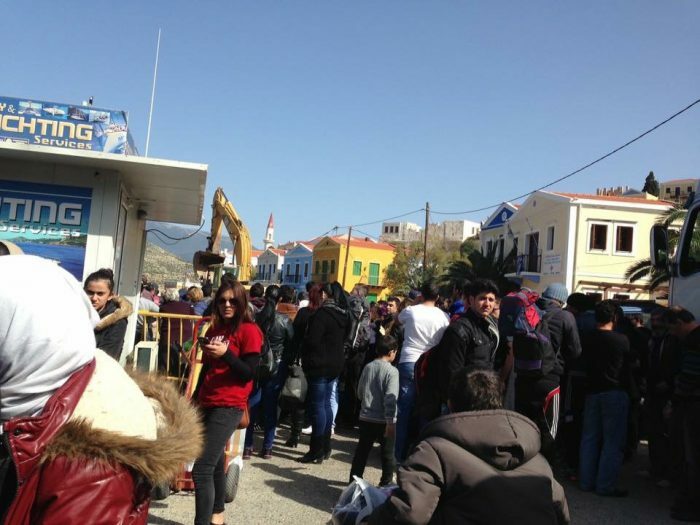 Even if the Friday Athens ferry comes it won’t be able to take all the people, if it is canceled and people continue to arrive in large groups like this there will be a major crises on Kastellorizo. 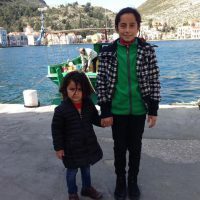 Faced with this tragedy, an emergency aid operation named “Kas international Kastellorizo Platform” has been set up and an appeal to collect a €1,200 emergency fund launched. 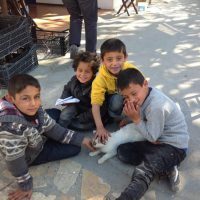 A mere €120 is now needed to reach the target. 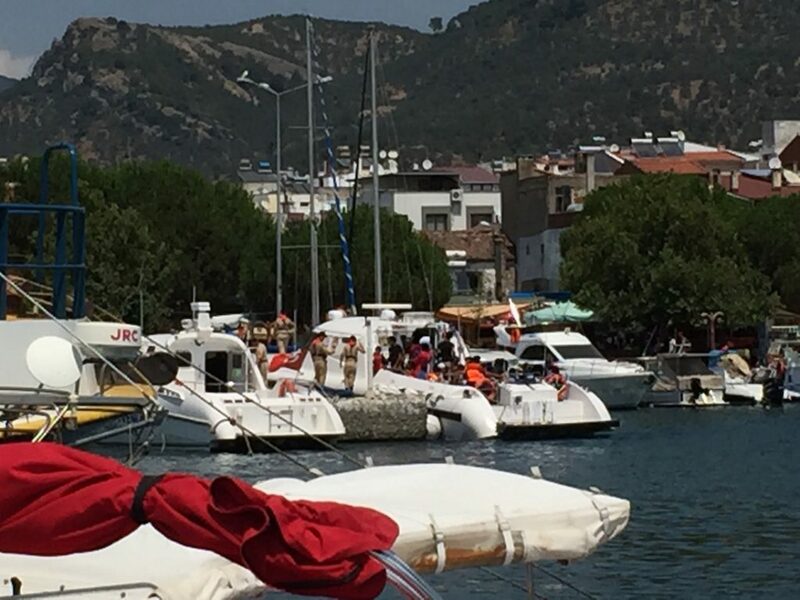 Shellie Corman, a friend from Istanbul, and our neighbour in the mountains facing the island of Lesvos, is actively involved and has just gone there. We decided to contribute, as these are ‘human landscapes’ in a true state of distress, where exile and sheltering often interact through harsh conflict. Our active support will be maintained as long as such a terrible situation persists on the island. 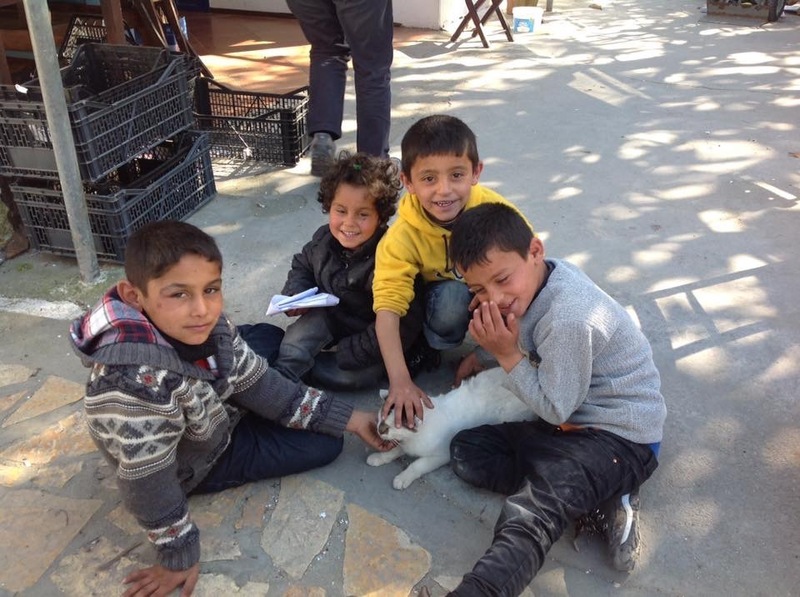 Besides, this summer we will be on location to help out and assess new needs that are likely to emerge. “It is 5:25 am. We were woken up at 3:30 and told that the clothing distribution center was on fire. 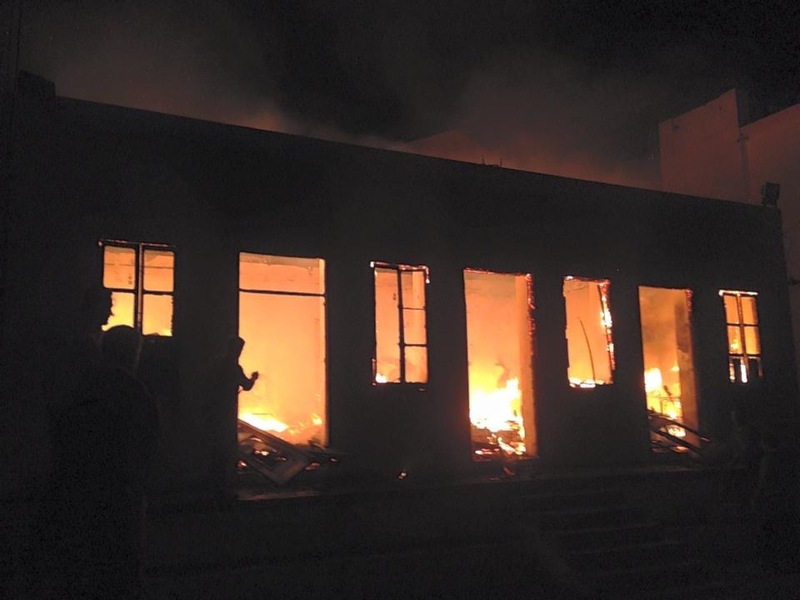 We all ran to see what was happening, although from the window of our room we could see the flames. 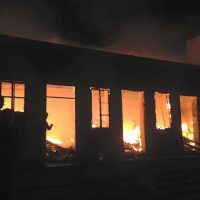 When we arrived there was a small group of refugees and locals standing in front of the building watching the fire, which had by then completely burned out the center, the large palm trees behindhad caught fire, and there were a few people with a small hose and a few buckets. A futile effort to quell the flames. No firetruck, no military, no police. After the building was completely destroyed, maybe an hour after the fire started we finally saw a fire truck. 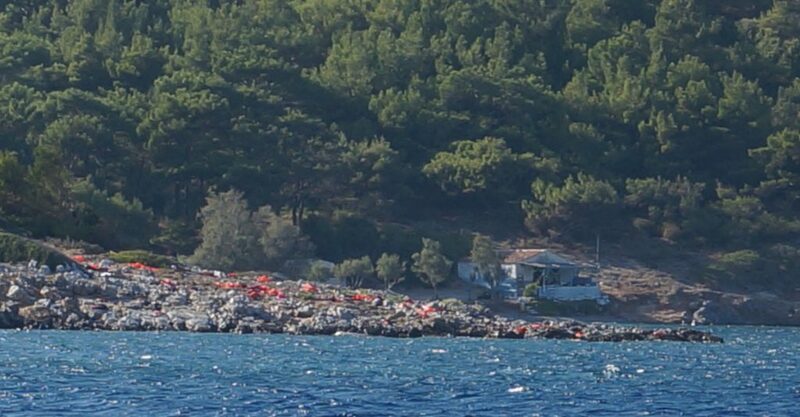 This appears to be a clear message by some of the locals, to let all of us and the refugees know that we are not welcome. No one knows for sure if this was intentional or even a possible electrical problem. There has been a local women with a hotel close by that has been yelling at the volunteers for weeks and saying that the center is finito and will be closed down. Les réfugiés sont dirigés vers le centre de police pour y recevoir des soins et être enregistrés. 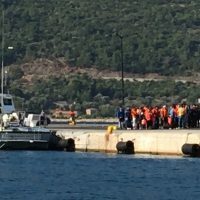 Secourus par les garde-côtes turcs les réfugiés sont de retour au port. Ils tenteront une nouvelle fois leur chance - ou malchance -. Our friend Shellie, we sustained last winter when she decided to help refugies on Kastellorizo Island, meet again a syrian family she met there.